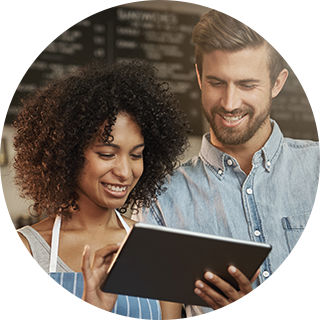 By partnering with SpotOn to process payments, you’ll be well on your way to saving money for your business with our industry low rates, but that’s not all. You’ll also get your choice of payment processing terminal and an all-in-one platform that connects your customers to transaction data so you can create targeted marketing campaigns like never before. SpotOn began business as a customer engagement software platform for small businesses. 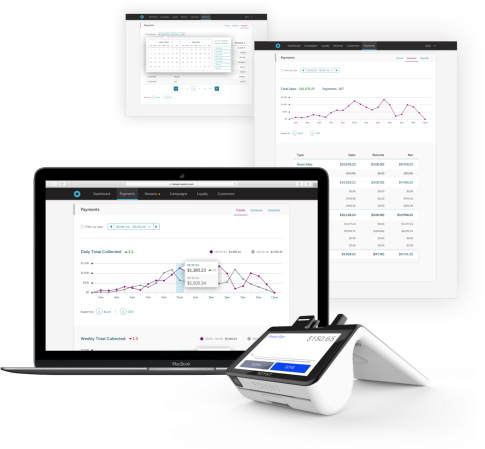 After years of developing and perfecting tools to help small businesses connect with customers, SpotOn added payment processing to our platform, giving our merchants a fully-integrated business solution to succeed in a competitive marketplace. SpotOn’s payment processing and merchant services are rooted in our co-founders’ longstanding leadership and experience with Central Payment, one of the nation’s largest merchant service providers. SpotOn is the culmination of the founders’ long-term vision, providing a positive social impact by empowering small businesses with business solutions. We are proud to offer our merchants a low, transparent platform fee with no long-term contract, and our promise to beat any competitor’s rates. Period. To learn more about SpotOn's 15+ years of leadership in the payment industry, along with our values and mission to empower small businesses, please visit our About Us page.